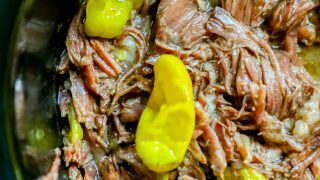 The Best Slow Cooker Mississippi Roast Recipe – the ultimate Mississippi Roast recipe for a simple chuck roast slow cooker dinner bursting with flavor from ranch dressing seasonings, peperoncinis, and au jus! Mississippi Roast is great for low carb and keto dieters as well! If you like pot roast with huge flavors – without much effort – this Slow Cooker Mississippi Roast Recipe is one you’re going to love forever and ever. I had never heard of a crock pot Mississippi Roast until recently – but the second I tasted it, I was in love forever. This roast doesn’t even require pre-browning, so it is lightning quick to prepare – just add to a slow cooker, set it, and go about your day. When you come back at night, simply shred the roast, serve, and enjoy! Can you get any easier than that for a delicious pot roast dinner? I don’t think so! I truly love this Mississippi Roast recipe, and hope you love this delicious and easy slow cooker pot roast as much as I do! 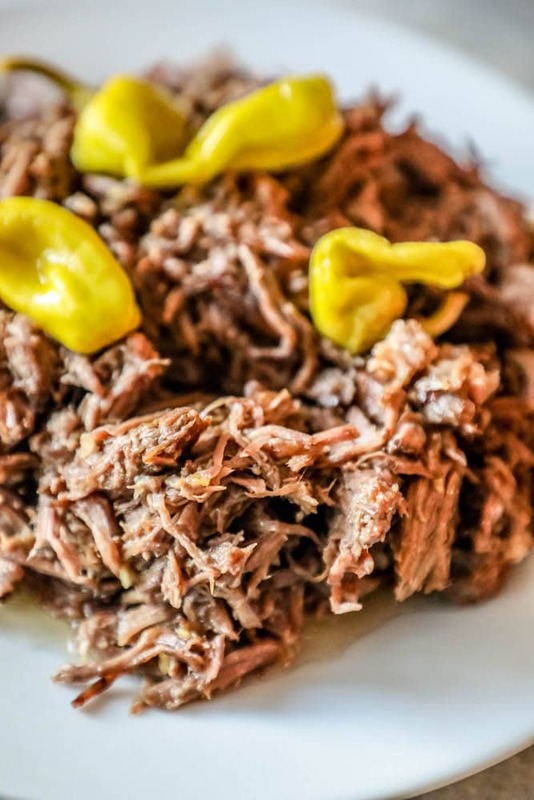 Just Take Me To The Slow Cooker Mississippi Roast Recipe Already! If you’d like to skip my tips, tricks, and other information to make this slow cooker pot roast recipe fantastic, please scroll to the bottom of the page, right above the comments, where you will find the easy printable recipe. 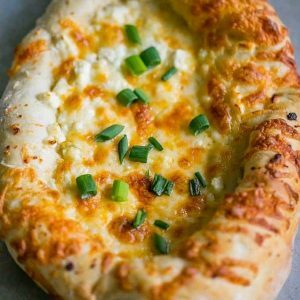 I get a lot of questions in the comments so I try to pack as much helpful information as possible into my recipes. 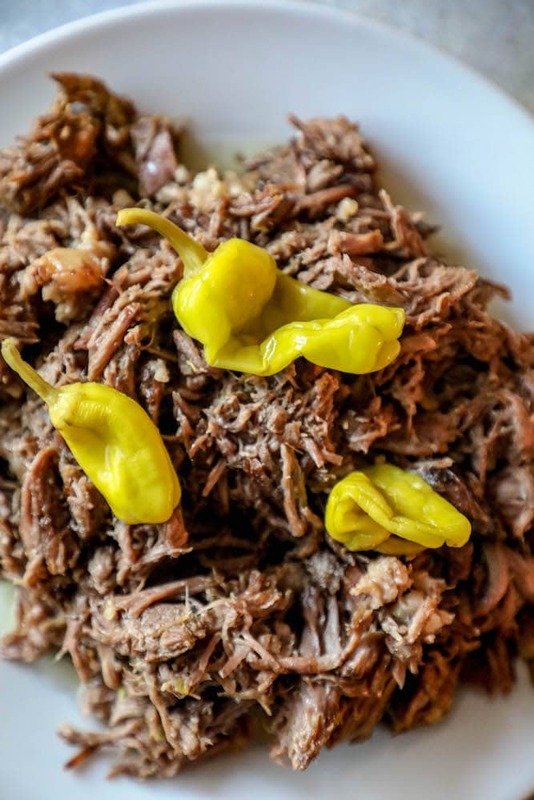 Mississippi roast is a huge pinterest favorite – it’s been all over the internet for a long time, and for a reason. Mississippi roast is a simple rich and slightly tangy pot roast that is incredibly quick and easy to prepare – simply add ingredients and set the timer for a delicious dinner. 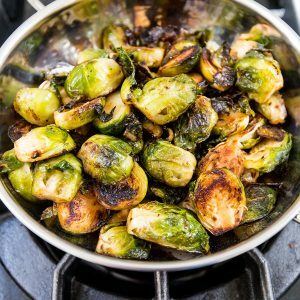 The original recipe of this family favorite roast recipe centers around just five ingredients – au jus packets, pepperoncini peppers, a stick of butter, and ranch dressing seasoning. From time to time however, I skip adding the au jus gravy mix and just add the peppers, butter, and ranch dressing seasoning packet – and it’s still amazingly delicious, tender, and full of flavor. 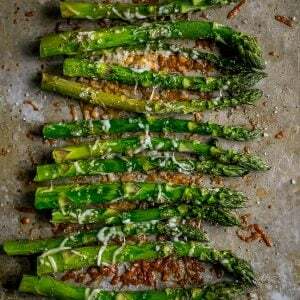 You can also swap out ranch dressing seasoning for onion soup mix for a little bit of a different roast flavor that is still melt in your mouth delicious! If you’re wondering what cut of meat makes the best Mississippi Roast – or any pot roast – it can be a bit confusing, since many stores and meat markets label cuts of meat differently, and might cut or package them differently than you’re used to – so I find it’s important to learn about the cuts you’re looking for, and know why they make a deliciously tender roast. When going for a Mississippi Roast, or any pot roast dinner, you want to buy a tougher cut of beef. This means lean cuts of meat with lots of connective tissue and very little fat, usually parts of the animal that move a lot and would be incredibly tough and hard to chew if you simply tossed it in a pan or on the grill like a steak. When you cook down tougher meats, the collagen in the tissues breaks down into gelatin, which tenderizes your meat and adds a delicious meaty flavor to your sauce for a gravy that can’t be beat. Chuck: From the front part of the cow. 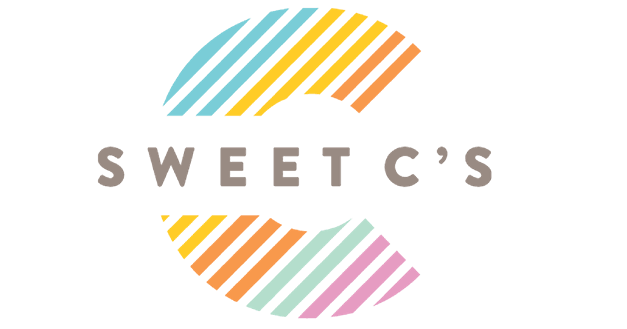 Look for chuck roast, shoulder steak, boneless chuck roast, chuck shoulder pot roast, chuck seven-bone pot roast, or beef chuck arm. Brisket: From the breast or lower chest of the cow. The flat cut is leaner, and the point cut has more fat. Be sure to trim off any excessive fatty areas before slow cooking in this recipe. Round: From the rear leg area of the animal. Look for rump roast or bottom round. 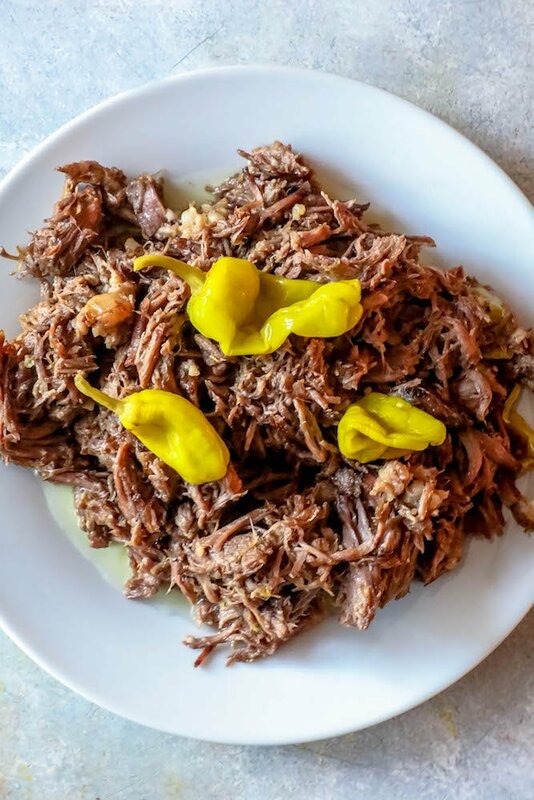 Mississippi Roast isn’t just great because it is delicious and so easy – it’s also insanely versatile and takes well to freezing and reheating without getting tough or drying out, so saving leftovers in the freezer is a great option! You can also make a giant batch of this roast and freeze it in individual portion sizes if you’re eating for one or two without having to slog through the same meal for leftovers day after day – this pot roast is just as delicious reheated as it is right out of the slow cooker. There are two issues you want to be aware of when freezing and thawing cooked meat (or really anything) – you want to minimize the formation of ice crystals, and you want meat to be able to thaw quickly and evenly on it’s own in the refrigerator. Don’t overstuff roast into freezer bags to make a giant, thick blob – anytime I freeze anything I try to lay it in a bag so the meat can lay flat and not be too full because I want it to thaw evenly and quickly. When adding to a plastic or freezer bag, lay the bag flat instead of piling in meat from the top, so you can spread it out and not make a big round shape in the middle. Lay bags flat in the freezer until they “set”, at which point you can move them around to wherever fits best. Again – you want it to thaw evenly, so a flatter, thinner shape will thaw naturally faster than a big, thick, rounded clump. Let roast thaw in the refrigerator naturally for best results. If in a hurry, I prefer to add frozen Mississippi roast to a pan with a little beef stock on medium low until piping hot. 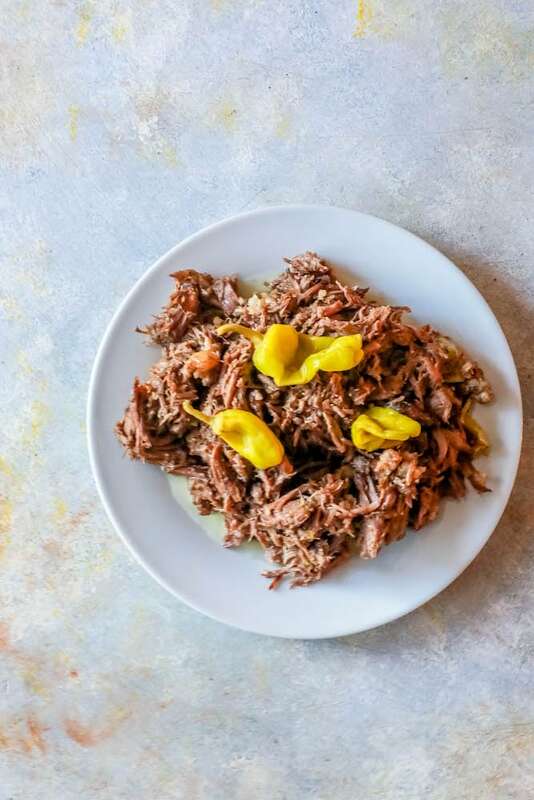 Like other roasts, Mississippi Roast is delicious in an Instant Pot – and the only thing you need to change is the cooking time and the liquid since you’re not slow cooking the roast, and rely on liquid for steam to pressurize the instant pot. 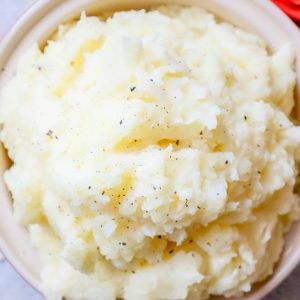 Add all ingredients to the instant pot (save the butter for the very top). Set instant pot to seal and cook on high pressure for about 80 minutes. If your roast is over 4 pounds, I suggest increasing cook time to 90 minutes. Mississippi roast is delicious with classic Sunday roast sides like mashed potatoes, green beans, salad, french fries, and other family loved classics. This mississippi pot roast is so fabulous because it doesn’t require a ton of fussy ingredients or complicated equipment – just a slow cooker and 5 easy to find ingredients. 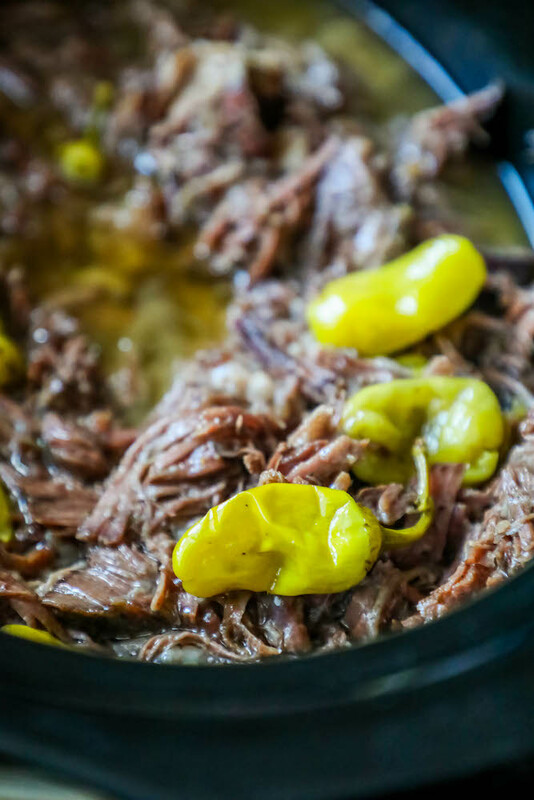 The Best Slow Cooker Mississippi Roast Recipe - the ultimate Mississippi Roast recipe for a simple chuck roast slow cooker dinner bursting with flavor from ranch dressing seasonings, peperoncinis, and au jus! 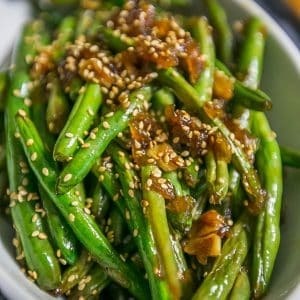 Add all ingredients to slow cooker in order listed. Add lid and set to high. Cook 8 hours until roast shreds with light pressure with a fork. If desired, gravy can be blended and thickened with 1 tbsp flour to serve over roast. 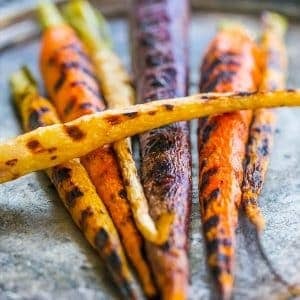 would these ingredients work w/ pork roast instead of beef? I haven’t tried this with pork, so I can’t say 100% – but I don’t see why not! I’d just be sure the pork is trimmed of extra fat really well, or hold half of the butter back while it cooks to make sure its not too greasy. That being said – even if you add all the butter, you can drain off extra grease, so it should still be great! 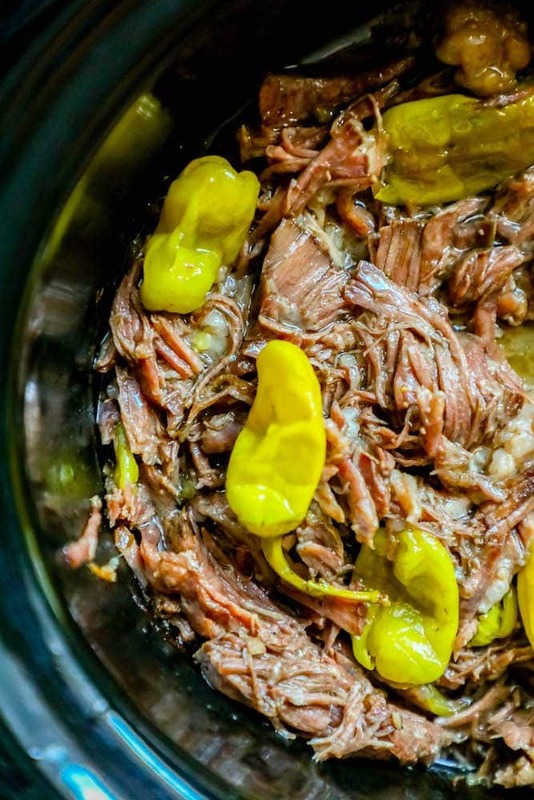 We love Mississippi Roast….I’m definitely going to give your slow cooker recipe a try! I need to make this roast soon! It looks crazy delicious! So easy, tender and full of flavor! Yum! I keep meaning to try Mississippi Pot Roast. Thanks for the inspiration! I’ve never heard of this before! Can’t wait to try it!